Table top summits have been a great success in all industries looking to conduct successful business deals and meetings, while networking with industry giants. Suppliers are guaranteed business and your company has the benefit of meeting with top quality buyers in the industry. Table top summits consist of having a table with two chairs and where you set up face-to-face meetings with quality buyers. Table top summits are considered more value for money than exhibitions as you find that companies spend hundreds of thousands on fancy stands and send three or four representatives to a country to make sure that business is always on the go, but this can prove to be very expensive. Table top summits allow a company to have a cost effective way of doing business as all you are there to conduct business, without the distractions an exhibition contains. Table top summits guarantees you face-to-face meetings as these are pre-scheduled ahead of time whereas exhibitions don’t guarantee you any business as you can spend three days at an expo with no one actually coming to sit down and talk business. At table top summits you normally find the cream of the crop with buyers as they are there to conduct business which means sometimes you can have up to 60 meetings in one day. IDE initiatives are in a table top format and are invitation only whereas exhibitions are open to the public which means you aren’t necessarily speaking to the right target market and this can prove to be a waste of time. At table top summits invitations are sent out to specific suppliers who meet the criteria of specific buyers and vice versa. You know that you are guaranteed business meetings and there probability increases dramatically that these turn into successful business deals. 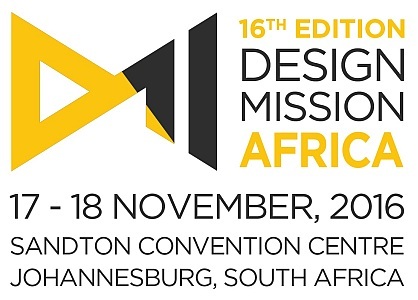 The Design Mission Africa is the next IDE initiative taking place in South Africa. It will be coming to South Africa at the Sandton Convention Centre this November from the 17 to 18 November 2016. The Design Mission Africa will focus specifically on creating a smooth pathway for the suppliers of the Real Estate and Construction industry both in the Private and public sector to have pre-scheduled meetings with quality buyers. It is enshrined in our name and drives the way we think and the approach we take. Thought out strategy, unbridled creativity and a highly passionate team converge to form our success mantra at IDE. We believe in seeing things through – right from Ideation to Execution. Our sole purpose is to create exclusive, captivating and unique deal flow initiatives to skyrocket your business and increase your presence in the market.